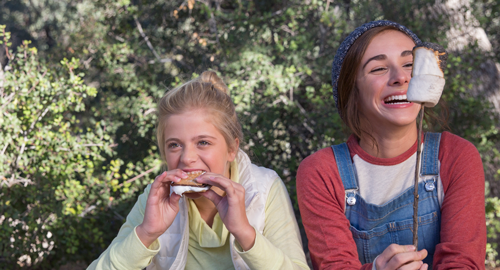 Girl Scouts have been making S'mores since 1925. The first published recipe for making the delicous treat appeared in Tramping and Trailing with the Girl Scouts, published in 1927. At that time they were called "Some More". Toast two marshmallows over the coals to a crisp gooey state and then put them inside a graham cracker and chocolate bar sandwich. The heat of the marshmallow between the halves of the chocolate bar will melt the chocolate a bit. Though it tastes like “some more” one is really enough. -Tramping and Trailing with the Girl Scouts. Girl Scouts, 1927.